We are excited to add another piece to the puzzle of our outstanding sound system. These babies rock as additional main speakers and are also just as usable as floor monitors for the VoiceHouse Quartet. Achieve complete control over your live rig’s tuning and performance, courtesy of the JBL PRX815W active PA speaker’s onboard Wi-Fi technology and advanced DSP. And do it from anywhere in the venue using your tablet and the free PRX Connect app. Housed in a rugged all-wood cabinet, the PRX815W’s lightweight yet powerful 1500-watt Class D amplifier employs JBL’s acclaimed Differential Drive technology for efficient power handling. A redesigned input panel and universal power supply yield easy, reliable operation wherever you go. 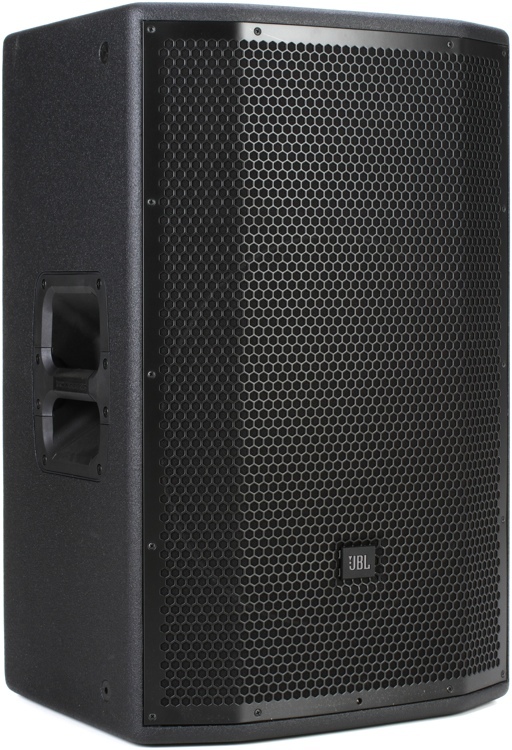 At Sweetwater, we’ve run the JBL PRX815W through its paces both as a full-range PA speaker and as a floor monitor, and it’s proven itself to be a solid, all-around performer. ← Alex Produces Hit Album!